Who wants to go home from a Finger Lakes vacation without a little something to fondly remember your stay or to give to a friend or relative? The shops and museum stores here have the perfect gift, home accessory or souvenir, often created by local artisans. A bottle of Finger Lakes Riesling wine or a Naples grape pie is always the perfect gift for anyone. But why stop there when there is so much to choose from, such as pottery, hand-blown glass, woodworks, sculptures, metal, paintings, photography, jewelry, fabric art, all natural candles, soaps and sundries, CDs by local musicians, books by local authors, literary artists’ works, plus a variety wonderful food confections produced locally? 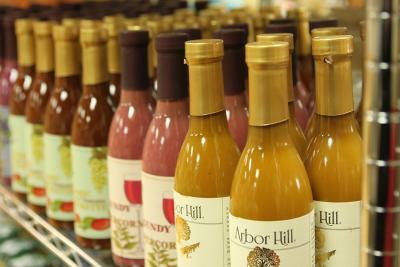 Each are uniquely created by local Finger Lakes artists and craftsmen, locally grown, and homemade. For the foodies on your list, keep our locally made mustards, jellies, cheeses, and artisan breads are also great Finger Lakes finds. 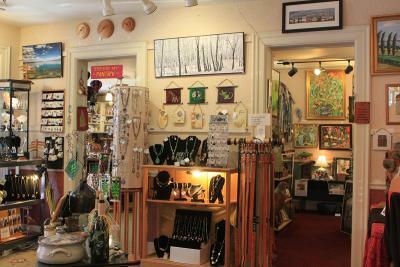 Shopping for gifts and souvenirs is a year round offering in the Finger Lakes. Don&apos;t forget to check online as well for holiday gift baskets for your Christmas list or as a reward for those members of your staff that didn&apos;t get to this great vacation in the Finger Lakes yet.